The past few days days have given us a little more free time, but actually the pace has been picking up as we begin work on our final presentations for Thursday. (I haven’t yet started work on mine.) Over the weekend we were given a free tour of Nara and Kyoto. 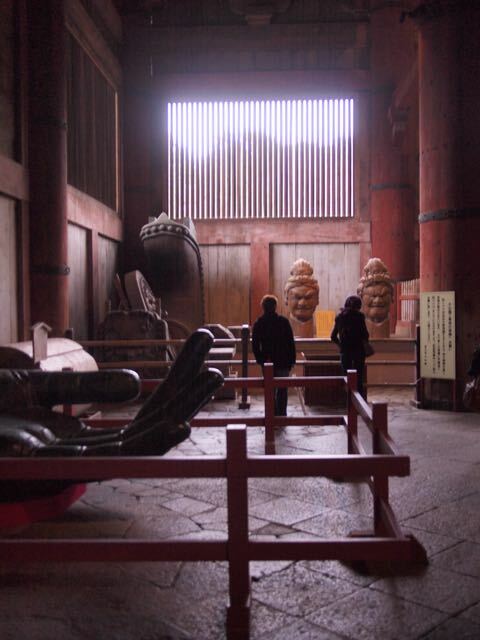 I like this photo I took inside the hall of the Great Buddha. I can only offer a few thoughts about the outing to the mature port town of Oominato we had yesterday. The people of Oominato were overjoyed to have foreigners visiting, and everyone stepped out of their homes and were watching us as we walked down the street surveying the town. They used to build ships here, but it seems that people do not order so many ships anymore. There is a very beautiful-looking, 120-year-old ryokan in this town, a relic of a time when people would arrive on boats on their way to the Jingu. 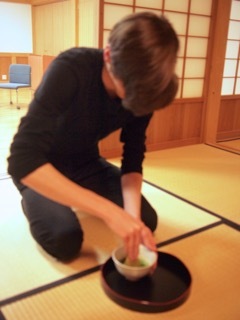 The ryokan seems to be completely empty now, which makes me sad because it’s kept in great condition and is very clean. Here are some pictures. Consider it for your visit to Ise! 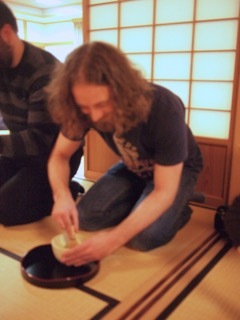 Today we all enjoyed a tea ceremony. I got to go inside a tea house used in the full-formal ceremony, and inside I felt like I should be acting a lot more formally. You get the instinct that you need to know where to move for each step of the ritual. We then went into a half-formal room and had tea served to all of us, but the servers really did know what they were doing the whole time, and it was quite impressive. Time to get working on my final presentation!